Doctors, and patients with chronic diseases, are putting hope into new findings in regenerative medicine that are based on mesenchymal stem cell (MSC) research. As promising as some published results sound, they might be not reproducible – simply due to insufficient authentication and poor handling of cell cultures. Rigorous validation of cell identity is crucial for working with human mesenchymal stem cells – and, due to the required effort, unfortunately too often overlooked. Have you ever tried to pick only the red candy from a mixed bag of sweets without looking? And now imagine the candy is only around 20 µm big (Ge, et al., Stem Cell Rev. 2014), homogenous in shape and all you can do to clarify the identity is run tests for the next couple of weeks. Does this situation sound familiar? Than you most likely work with human mesenchymal stem cells. “The isolation of MSCs from human tissue such as bone marrow, umbilical cord, cartilage or fat tissue per se isn’t a big deal. After dissolving the tissue in a selected buffer, you can quite easily extract active MSCs from this ‘cell soup’ – at least you think that’s what you have,” says Dr. Hagen Wieland from the development department at PromoCell. Because mesenchymal stem cells are a very heterogeneous group, you will never receive multipotent stem cells alone, no matter which method has been used. Isolation based on MSC’s ability to adhere to plastic surfaces, for instance, might result in the formation of MSCs along with their progenitor cells (Kuznetsov, et al, J. Bone Miner Res. 1997). You also might end up with fibroblasts, or MSCs that aren’t multipotent. Dr. Hagen Wieland works at the R&D department at PromoCell. His never-ending job is to explore and develop new stem cell culture systems. He and his team also write user-friendly application notes. This is where the real work starts. Before you can even think of turning to your own research, you need to cultivate, differentiate, and characterize your cells. For each step, scientists have established various protocols. Depending on the media and serums used, in which the ingredients can differ from lot to lot, outcomes may vary significantly. “Until now, there have not been any guidelines or regulations. Scientists have had no choice but to use their own judgment. For every paper that revealed interesting results, another group would come up with quite contrary data. Some experiments were simply not reproducible due to variations in cell handling and protocols. MSC research has been a real hodgepodge for years!” says Dr. Wieland. All the working hours, the time researchers spend at cell culture benches or computers trying to interpret the data – not to mention the money – are all wasted. According to a recent analysis, 28 billion dollars are spent each year in the United States alone on experiments that are not reproducible. In addition, the same study indicates that more than a half of all preclinical studies are irreproducible (Freedman, et al, PLoS Biol. 2015) It’s a scientific nightmare – and not just in terms of economy. All of these irreproducible studies were aimed at discovering life-saving therapies and cures. That is why – at least in MSC research – more and more journals request certification that you have verified the identity of the cells used in your experiments. The same is true for many institutions that fund research projects. Accordingly, if you want to apply for financial support, you need to include the paperwork of your protocols detailing stem cell isolation and characterization. The U.S. National Institution of Health recently integrated authentication recommendations in their guidelines for reporting preclinical research. Such initiatives aim to increase reproducibility and comparability. The efforts, results and opportunities in the field of mesenchymal stem cell research are far too promising to make the same old mistakes made by the scientific community in the past. Scientific interest on human mesenchymal stem cells has been increasing for years. “Each year, there are 4,000 to 5,000 publications about MSCs on pubmed. It is a consistent upward trend and I don’t believe it is going to stop. Quite the opposite, I expect this field of research to grow,” says Dr. Wieland, who works with blood and stem cells at PromoCell. 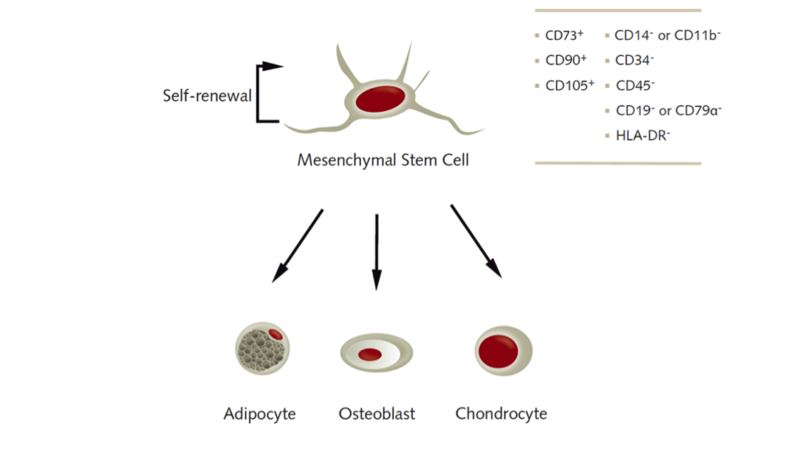 It’s their unique characteristics that make MSCs so popular. First isolated from bone marrow in the 80s, MSCs allow researchers to derive the regenerative cells from various tissues of the human body. This avoids any ethical issues that could accompany embryonic stem cells, and also makes MSCs easily accessible. In the body, MSCs differentiate into distinct cells that build structures such as bones, cartilage, and adipose tissue. What might seem like a disadvantage when compared to their embryonic siblings, having a limited number of differentiation routes offers a great opportunity for MSCs. They form robust tissue, whereas pluripotent cells tend to grow into tumors. Additionally, mesenchymal stem cells have almost no markers on their surface, which means they are not immunogenic. MSCs even have a down-modulating function, something that is a great benefit when you think of regenerative therapies, and graft versus host disease. As a way to increase success rates of bone marrow transplants, many doctors strive to develop combinational therapies by co-culturing MSCs with hematopoietic stem cells. Mesenchymal stem cells adhere to plastic surfaces, but this is not the only criteria they have to fulfill. The ISCT defined two more in 2006 to make research more comparable and replicable. 3. Osteoblasts – These mineralized cells with extracellular calcium deposits form bones. Speaking of heterogeneity – what is the solution to the problem of making your and other researchers’ cell-based experiments more reproducible and comparable? The magic word is authentication. For this purpose, the International Society for Cellular Therapy (ISCT), an association that supports the translation of cellular therapies, has defined three criteria that MSCs must fulfill: (1) The cells have to grow adherently; (2) they must express particular surface markers, the classification determinant (CD) markers; (3) they need to show the ability to differentiate into three lineages (see infographic). To meet these criteria, you need to perform many analyses – a critical, but also laborious and time-consuming process that could take up to four weeks. And you have to repeat it every time you isolate new cells – only to discover that, in the end, you might not even have enough cells to perform your experiment. (1) MSCs must express CD105, CD73 and CD90, and lack expression of CD45, CD34, CD14 or CD11b, CD79α or CD19 and HLA-DR surface molecule; (2) MSCs must be plastic-adherent when maintained in standard culture (3) and have the ability to differentiate into adipocytes, osteoblasts and chondrocytes in vitro (criteria proposed by the International Society for Cellular Therapy). They are multipotent – this makes MSCs interesting for various applications in biosciences. To answer your specific research questions, you need to differentiate your MSCs. Find out how you transform your adult stem cells into adipocytes in vitro using appropriate media. PromoCell hMSC-BM are harvested from normal human bone marrow. The cells are tested for their ability to differentiate in vitro into adipocytes, chondrocytes, osteoblasts, and neuronal cells. 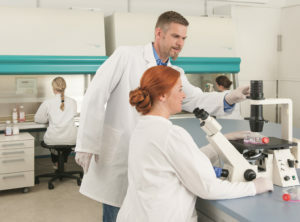 A new human Mesenchymal Stem Growth Medium is available now to better meet your requirements for more standardized MSC cultures. The new MSC Growth Medium 2 has a significantly reduced serum content.